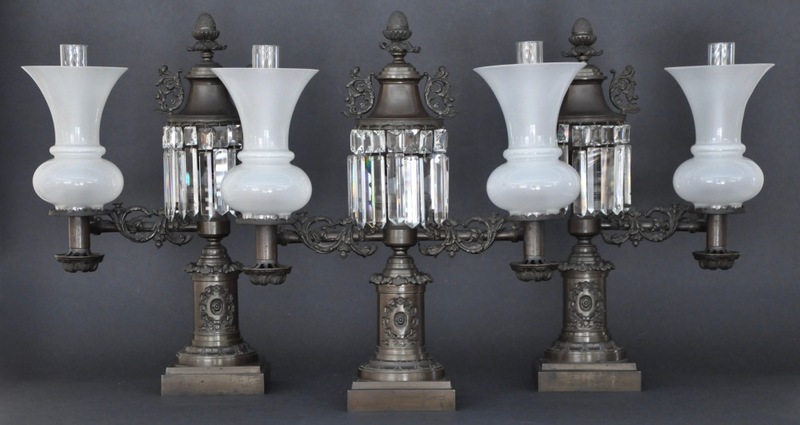 This handsome three part set of argands retain their original patinated finsh and have never been electrified. The standards are decorated with impressed rosettes surrounded by wreaths. 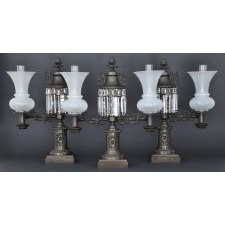 The fonts are adorned with prisms hanging from prism rings with cast foliate handles.